Bright beautiful full color SMD LED consists of 3 separate brilliant LEDs in one 5.1mm x 5.5mm clear lens SMD package. The blue LED requires 3.2VDC @ 35mA, Green 3.2VDC @ 35mA and Red 2.1VDC @ 50mA. By driving the LEDs at different levels at the same time various other colors can be produced. 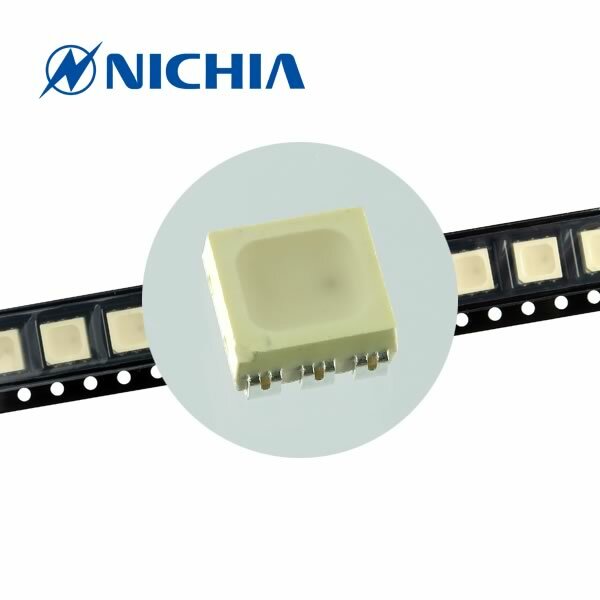 This is a very high quality brilliant LED. Factory prime. Sold in a package of 10.